My Patterns Available for Sale at EQ Boutique! 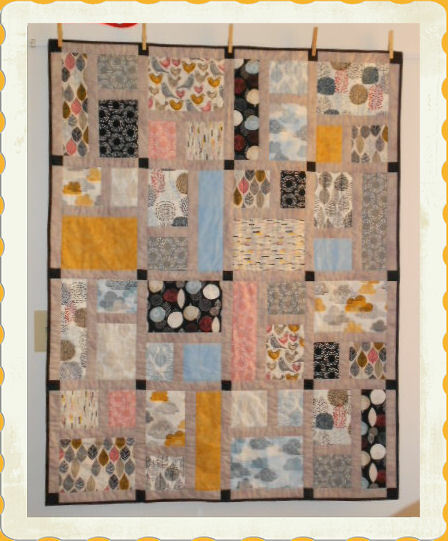 Mix ‘n Match (60″ x 72″) was previously done as a sew along project on the blog in 2014 and was one of my Camp Loopy projects) so the instructions are in separate file downloads. You’ll find the links below. Yardage was not given since it’s meant to be a scrappy quilt – mine is a bit of a controlled scrappy since I don’t do really scrappy – but you control how many fabrics you want to use. You can use the line drawing image of the quilt to plan your fabric placement if you like. 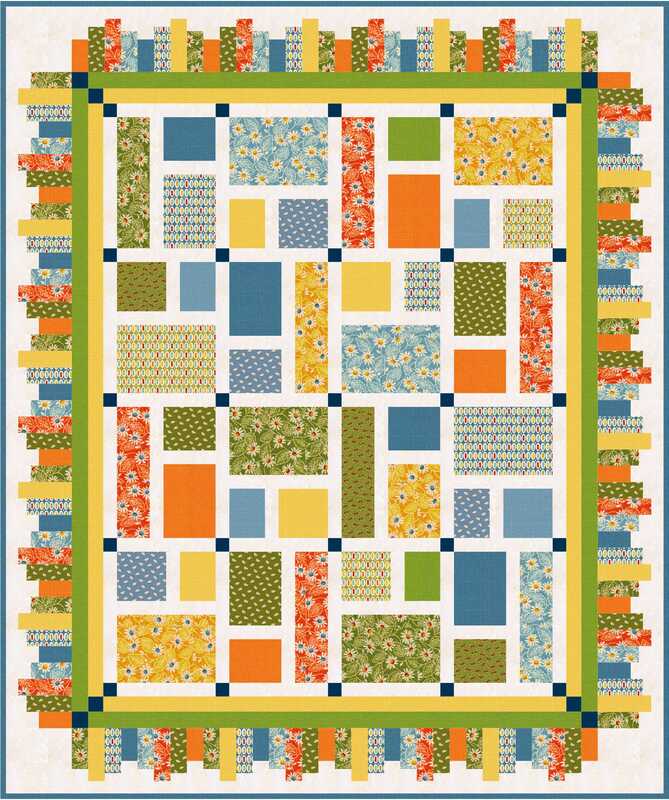 There are two different blocks – Block A and B – which make up the center of the quilt. Super simple sewing – and the real fun comes in choosing your fabrics. If you make a quilt from this pattern, I’d love to see it. You can post them to my Flickr group – and see all the other lovelies quilters have made using my designs. Link to the Flickr group is in the blog sidebar. Here’s a second one – crib quilt size, which uses the same blocks above but just omits all the borders. Legal assistant by day and quilter, knitter, and quilt pattern designer for EQ Boutique and Hoffman California Fabrics by night and weekend. QUILTS made from my FREE PATTERNS ONLY may be donated or sold but NOT mass produced ; credit for the design would be greatly appreciated. NO QUILT PATTERN should be shared in any way (i.e. copied, distributed, emailed). Some of my quilt designs are available for sale at ElectricQuilt.com as add ons for EQ(http://electricquilt.com/online-shop/category/denise-russart/). I do not sell patterns directly - if it's available for sale, you will find it there. If you are looking for the FREE PDF PATTERNS, scroll down the sidebar until you see the FREE PDF PATTERN PAGES. Thank you. 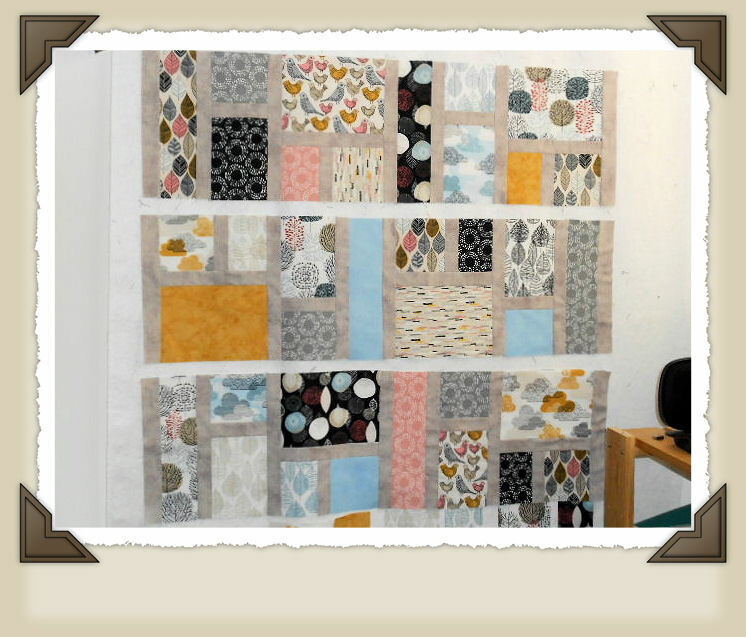 Justquiltin Flickr – Share photos here of projects you made using my pattern designs!